LAHORE: Punjab Chief Minister Shehbaz Sharif has said that under the “Khadim-e-Punjab Ujala Program”, shifting of 20,000 electricity-deprived schools to solar energy must be implemented swiftly. This programme in its first phase is being initiated from schools of South Punjab which will light up 10,800 schools through solar panels, he added. He was addressing a meeting held to review the headway on shifting of schools to solar energy under “Khadim-e-Punjab Ujala Program” through video-link. Addressing the meeting, the CM said that shifting of schools to solar energy is a unique and remarkable programme of Pakistan which is a very important project to provide a learning environment that is conducive to our students. Shehbaz Sharif said that billions of rupees are being spent on this schools’ brightening project which will facilitate millions of children; the project has to be expedited and completed at the earliest. He said that the Punjab government is investing billions of rupees on the bright future of the nation and all out resources are being made available to furnish them with favourable environment. Energy secretary while briefing the meeting about progress of this programme said that the best and well-known companies have come up for the execution of this project. Provincial Minister for School Education Rana Mashhood Ahmed and other concerned officials attended the meeting through video-link from the Civil Secretariat. In another meeting held to review the implementation of a potable water programme on Sunday, the CM said that the provision of clean drinking water is important for the public and its programme has to be pursued and completed within the stipulated period. He said that future of our children is attached to potable water programme which is of vital importance for saving the citizen against diseases. The programme worth billions of rupees is being started from tehsils of South Punjab, he added. He said that we have to achieve the goals of this programme through hard work, passion, and dedication. The CM said that it is his belief that any work being done with sincerity and dedication brings success. He directed South and North Saaf Pani Companies to come forward with firm decisions and give results. Shehbaz Sharif said that every citizen is entitled to clean water and his/her right will be fulfilled. He said that this programme should also be an exemplary like other schemes of Punjab government in terms of transparency as well as quality which he said cannot be compromised. Secretaries of concerned departments, CEOs Saaf Pani Companies, high officials and foreign experts attended the meeting through a video link. 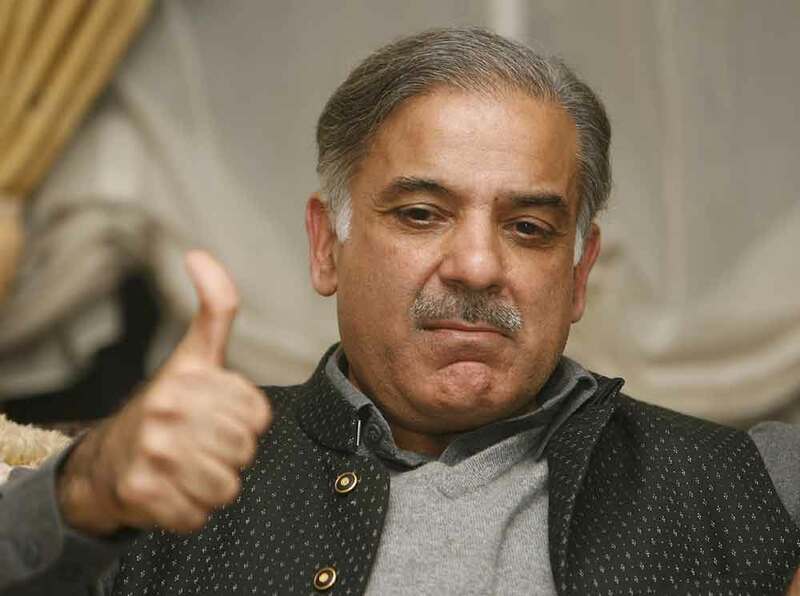 Meanwhile, while talking to MNA Sultan Mehmood Hanjra and Provincial Minister for Prisons Ahmed Yar Hanjra who called on him, Shehbaz Sharif said that balanced development strategy of Punjab government has yielded positive results and resources of billions of rupees have been spent for the development of backward and less developed areas. He said that special attention has been paid to the development of south Punjab and added that mobile health units, Danish Schools, modern hospitals and other academic institutions have been established in the region. He said that the Tayyip Erdogan Hospital Muzaffargarh, which is equipped with latest health facilities, is providing modern treatment to the people of the area. Ten per cent more funds proportionate to populace have been provided for the development of south Punjab, he added. The chief minister further said that sisters and brethren living in south Punjab are very dear to him and the government of PML-N has not allowed any shortage of resources to fulfill the right of the people of south Punjab. He said that mega projects have been completed for the progress and prosperity of people. Today we witness south Punjab as being at par with central and north Punjab in the journey of development, he added. Shehbaz Sharif said that previously, nothing was done for the progress of south Punjab except lip service whereas practical measures have been taken by his government for the development of the area and he is personally monitoring the progress of ongoing projects in the region.